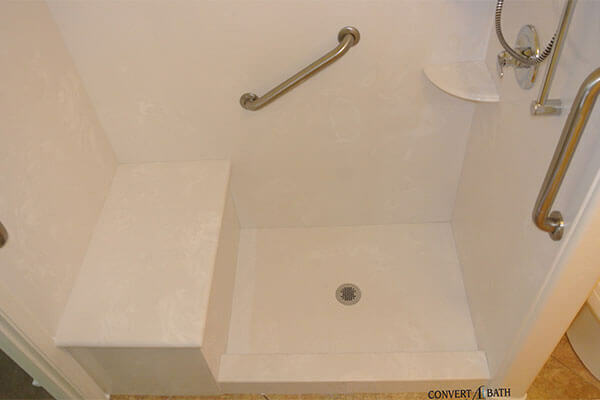 Upgrade your worn out bathroom with a new tub or shower that is not only beautiful, but durable as well. Our materials feature non-porous surfaces that make cleaning a breeze! Whether you prefer neutral or exotic, we have a look for you. We are the experts! Our knowledgeable staff will help you through this easy process. Our pros will give you a free, no obligation estimate without any hassle or pressure. In addition, you will find we work hard to provide multiple options that will fit everyone’s budget and style, with the quality you deserve. Experience the look of travertine stone, natural marble, granite and other patterns in TruStone™ without the high cost, maintenance and weight of natural stone or tile. 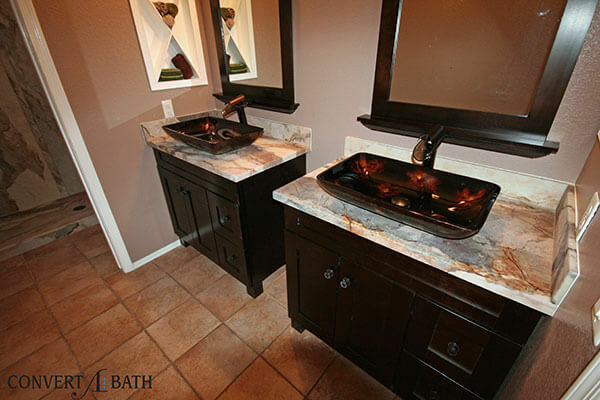 Cultured marble is a blend of natural stone particles and polymer resins that are mixed and poured into molds. This produces a wide variety of shapes and sizes along with a wide range of colors and realistic, natural looking patterns. 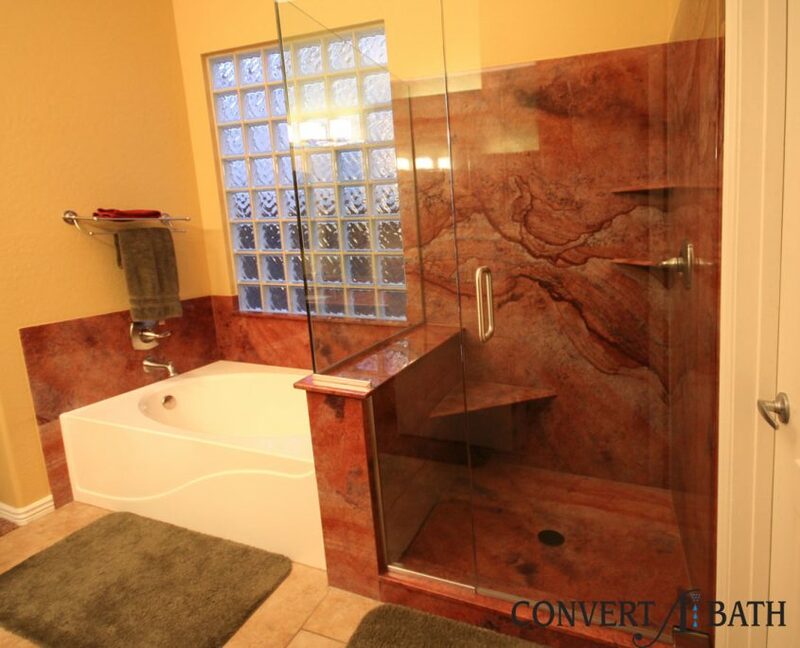 Improve your shower accessibility with a Convertabath® shower remodel. 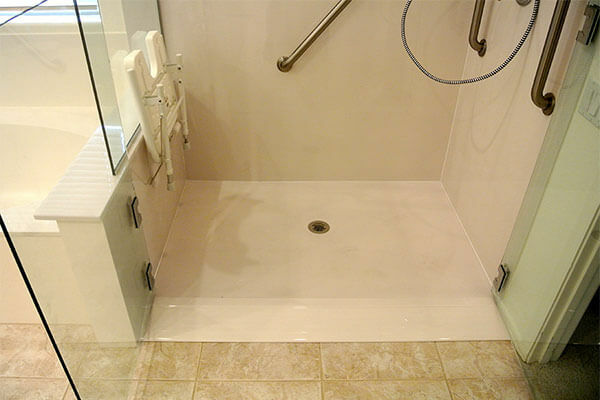 We can make your shower easier to use and maintain with our quick and affordable bathroom remodels. A remodel can be an easy and affordable way to improve the safety of your bathroom. 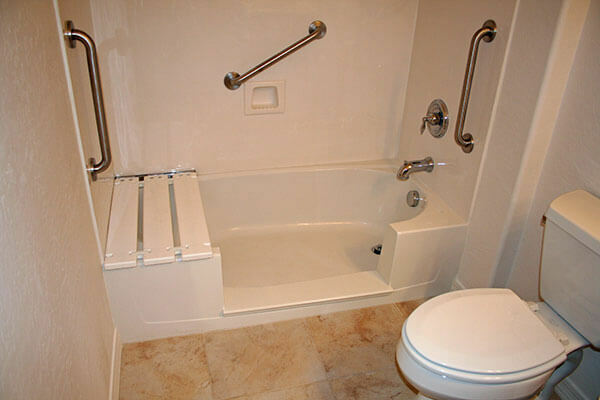 We can install handrails, bench seats and more to improve the safety and comfort of your current bathroom.